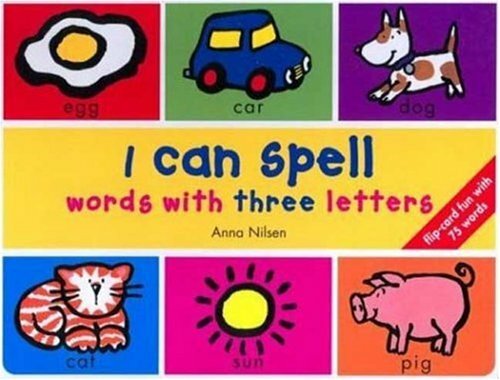 These innovative learn-to-spell books are colorful, educational, and fun. A unique lift-the-flap spelling tool features a choice of brightly colored picture cards and a row of snappy alphabet cards, in an ingenious double-spiral binding. 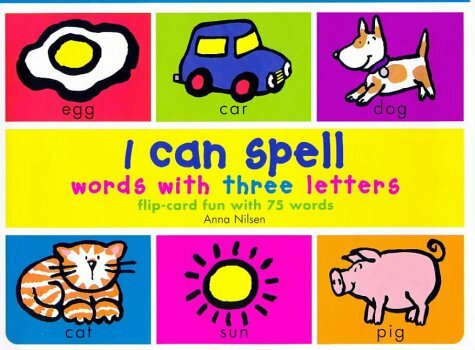 Select a picture card, then flip the alphabet cards to spell a familiar word. Then flip the picture card over to reveal a simple definition. Three-letter word and four-letter word versions allow kids to reinforce spelling and alphabet skills as their abilities grow. A terrific tool for the home or classroom, and a great way to educate and entertain. Durable double-spiral binding keeps parts from getting lost. Perfect for taking on trips. Supplementary sentence-building guide.